Confident and friendly, Morris is known for the professional manner to which he approaches work and life. He believes that customers should always have first priority and he consistently seeks positive outcomes for all parties to a transaction. 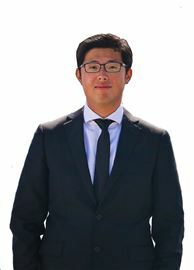 Morris’ ability to speak fluent Mandarin enhances his aptitude to create rapport with Asian clientele, which he combines with a broad knowledge of Asian culture. 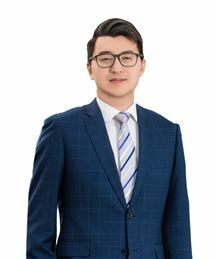 Complemented by his established international client database and connections, it consistently proves to be of great assistance in both the buying and selling process. With a background in engineering, Morris is exceptionally good at finding a solution to handle different, complex situations. 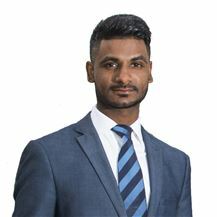 He is skilled at negotiation and always ensures every client has been provided with the very top level of services they deserve because he knows the honour and the responsibility of being entrusted with one of your most valuable assets. It is imperative to Morris that your selling experience with him remains as stress-free as possible, and that you achieve the results you deserve. The biggest compliment for Morris that can be given is receiving referrals from past clients and friends. Having begun her real-estate career in 2009 Nola found professional success at a very high level from the very outset. Nola’s understanding of the local property market and elite customer service saw her recognised by REIWA as a top-performing rookie in Western Australia which has been followed by ongoing success. Nola has been repeatedly ranked as one of the top sales agents in Western Australia. Nola is very passionate about the needs and goals of her clients. Nola strives to provide a very high standard of advice, expertise and dedication to her clients, which has assisted her to gain an exceptionally high proportion of repeat and referral business. To be able to maintain an exceptional level of service, Nola is supported by a strong team of professional and highly qualified assistants. Nola places a great importance on working hard and being honest at all times, which is continuously acknowledged by the testimonials and referrals she has received from satisfied customers. 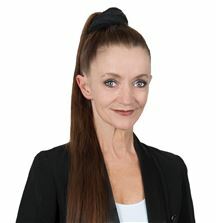 Sheila Rejek has an extensive history of achievement working with the senior management of large corporations. Sheila was the Executive Assistant to consecutive MDs and CEOs of Synergy and its predecessor companies; Verve Energy, Western Power Corporation and SECWA. Sheila was a national finalist in the 2013 Australian CEO Magazine’s Executive Assistant of the Year Recognition Award, an accolade that symbolises success for high achievers. Sheila’s work in the energy industry supporting executive management, the board and government stakeholders cultivated a sense of community spirit which is evidenced by her contribution especially to the Chung Wah Association in Perth, Western Australia. Sheila’s honorary positions consisted of CEO Centennial Celebrations, Miss Chinatown Pageant Organising Committee Chair, Chung Wah Chinese School’s Leeming School Management Committee Chair and Rossmoyne School Management Committee Chair. In 2015, Sheila was co-opted as a member of the Chung Wah Executive Committee and appointed as the Chung Wah Chinese School Council Chair. Sheila was subsequently involved as a member of the Ministerial Advisory Group on its Community Languages Program with the Office of Multicultural Interests. Sheila represented the Chung Wah Association as Pageant Coordinator at the 2016 Mrs Chinatown World Pageant and 2016 World Outstanding Women Awards Ceremony, a dual international event held for the first time in Australia. 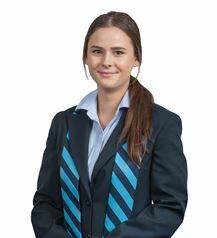 She supported the Corpus Christi College Parents and Friends as Vice President in 2014 and as a Corpus Care member. Sheila’s success in the corporate environment depended upon a high level of personal and interpersonal skills and the ability to interact with all demographics. Sheila holds a Bachelor of Commerce with a triple major in Business Law, Management and Marketing Management.